Experience the feeling of freefall as you float on a smooth cushion of air. There’s no parachute, no jumping, and nothing attaching you to planet Earth. It’s just you FLYING in the air. 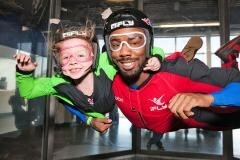 It's indoor skydiving.